Where can I get the source code for that program? It looks amazing. I have written a program that can discover cellphones via bluetooth, can send text, but can not send an image. And can’t find examples of this. can i get the source code of a program that can discover cellphones via bluetooth, can send text from u pls? pls can u send me in .rar or .zip in asp.net about that program. i need it UGRENTLY.!! 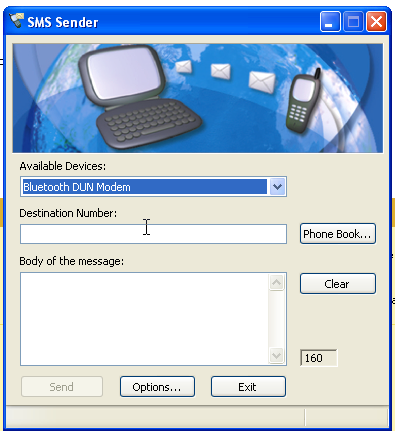 i want to send sms using plc.can i use any gsm phone i.e. nokia instead of gsm modem, & also tell me how can i get cheapest gsm modem? contact me on my mail id. I think lot of phone has GSM modem inbuild. What you need to do is to install drivers or pc suite for that phone.